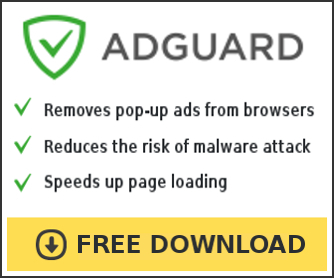 Security Guard 2012 is a fake security application that blocks legitimate antispyware and antivirus tools, hijacks browsers, redirects you to malicious websites, displays numerous fake security alerts and nag screens in order to trick you into thinking your computer is heavy infected. The rogue hopes that you will next purchase its full (paid) version to clean the system. So, you should stay away of this application! If your computer is infected with this malware, then follow the instructions below to remove Security Guard 2012 from the system for free. Security Guard 2012 installed itself on your computer without your permission and knowledge through the use of trojans. During installation, the rogue will be configured to run automatically when you logon into Windows. When the program is started, it will perform a fake system scan and detect that your computer is infected with a lot of viruses. Next, the malicious program will prompt you to purchase its full version to fix supposedly found infections. Remember, all of these reported infections are fake and don’t actually exist on your computer! Thus do not trust the scan results, you should ignore them! While Security Guard 2012 is running, the rogue will display a variety of fake security warnings and alerts that attempt to make you think your computer is infected with all sorts of malicious software. However, like false scan results above, all of these fake security messages are just a fake and has been displayed to trick you into purchasing so-called full version of the fake security program. As you can see, all Security Guard 2012 does is fake and you should stay away from the malicious application! If your PC has been infected with the rogue, then ignore all it gives you and follow the removal instructions below in order to remove Security Guard 2012 and any associated malware from your computer for free. 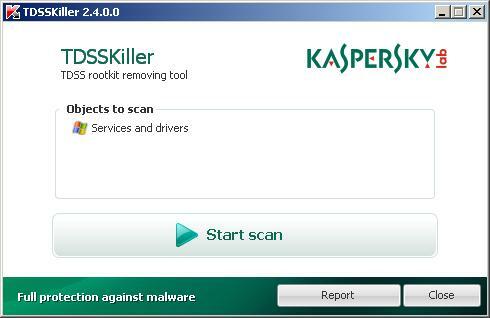 Now you should download Malwarebytes Anti-malware and remove all Security Guard 2012 associated malware. Make sure the “Perform quick scan” option is selected and then click on the Scan button to start scanning your computer for Security Guard 2012 associated malware. This procedure can take some time, so please be patient. Make sure all entries have a checkmark at their far left and click “Remove Selected” button to remove Security Guard 2012. MalwareBytes Anti-malware will now remove all of associated Security Guard 2012 files and registry keys and add them to the programs’ quarantine. When MalwareBytes Anti-malware has finished removing the infection, a log will open in Notepad and you may be prompted to Restart. Security Guard 2012 may be bundled with TDSS trojan-rootkit, so you should run TDSSKiller to detect and remove this infection. Download TDSSKiller from here and unzip to your desktop. Open TDSSKiller folder. Right click to tdsskiller and select rename. Type a new name (123myapp, for example). Press Enter. Double click the TDSSKiller icon. You will see a screen similar to the one below. 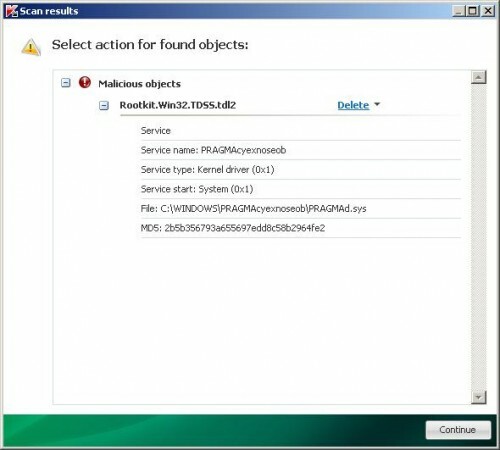 Click Start Scan button to start scanning Windows registry for TDSS trojan. If it is found, then you will see window similar to the one below. Click Continue button to remove TDSS trojan. If you can`t to download or run TDSSKiller, then you need to use Combofix. Download Combofix. Close any open browsers. Double click on combofix.exe and follow the prompts. If ComboFix will not run, please rename it to myapp.exe and try again! Your system should now be free of the Security Guard 2012 virus. If you need help with the instructions, then post your questions in our Spyware Removal forum.